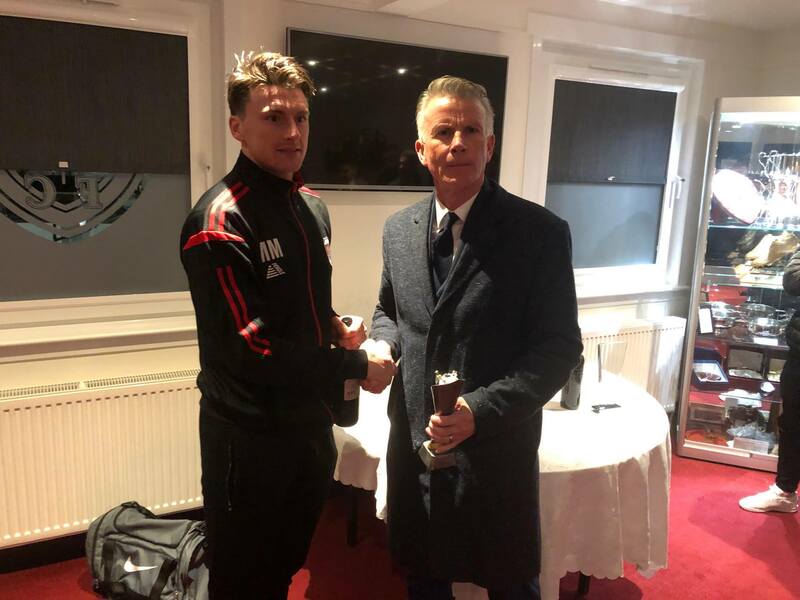 Malcolm Booth presented Bobby Linn with his Sponsor’s Man of the Match trophy and Bottle of Wine last night in the Arbroath FC Boardroom. Congratulations yet again to Bobby and thank you Malcolm! 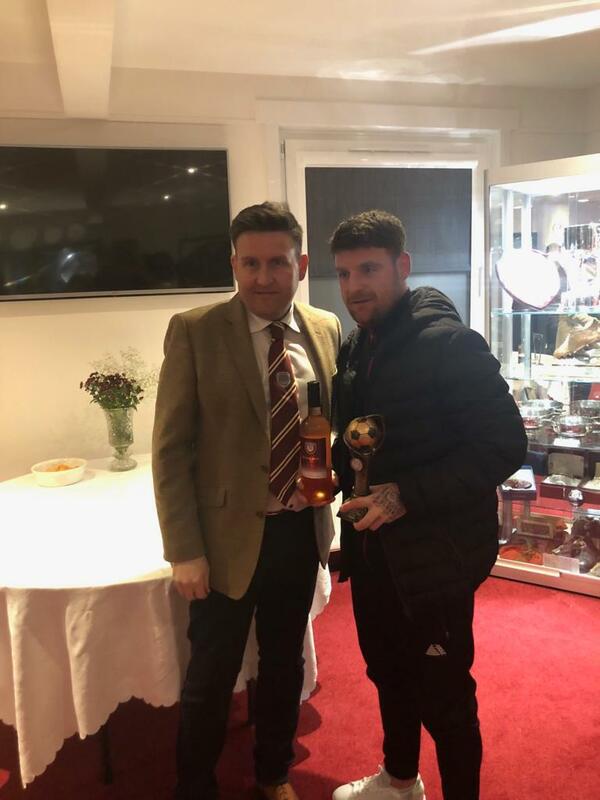 Ewan Rae presented Michael McKenna with his Boardroom Man of the Match trophy and Bottle of Wine last night in the Arbroath FC Boardroom. Many thanks to Ewan for his continued support and congratulations to Mikey!